There may not be much left to say about traveling to one of the most visited spots in the world. However, there is a reason why it is the most traveled and there is a lot worth saying about that! Warm weather, sand and culture are what bring families, friends and especially honeymooners. It is no secret that couples generally think of jet setting off for a Hawaii honeymoon for their postnuptial relaxation. Hawaii is comprised of 8 major islands, endless amount of ocean side, countless hiking trails and even more shopping and restaurants. With that being said, while on your Hawaii honeymoon, trying to do it all is a big mistake! Take my advice and plan in advance a few specific areas to visit and make the most out of. 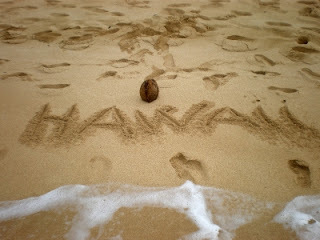 My personal pick for the perfect Hawaii honeymoon is in the Lahaina area of Maui. Lahaina has many of the islands top resorts, beaches, activities and restaurants. When picking a spot for the most memorable vacation of your life it is all about the location! Some spots of Maui are known to have quickly changing weather and Lahaina is located on the sunniest spot of the island so you’re sure to get the best tan possible! For instance, less than 5 miles away is Ka’anapali and Black Rock beach. Each of these magnificent beaches have the islands best snorkeling, due to the sun shine and warmer water, and a place where many have even spotted sea turtles! You may be reading through and thinking that renting a car, exploring around and staying busy may not be your ideal honeymoon, which is perfectly fine as some prefer to lounge out at their resort and just relax. I have found that Hawaii is the perfect place for either type. Because Hawaii has some of the world’s most extensive resorts, most do not feel the need to leave them at all. When you’re looking for the best spot in Lahaina to stay at for your Hawaii honeymoon it’s best to do a little research as to what suits you best. Mostly every resort has an abundance of amenities and services for ultimate ease and relaxation. Resorts in Lahaina will include things such as, nightly oceanfront luaus, beach cabanas, lei making classes, up to 3 swimming pools, 3 restaurants and multiple bars in a resort. With amenities like these, many can not find a reason to venture out. It’s true that some planning brides-to-be feel that a Hawaii honeymoon lacks originality since it’s the classic honeymoon spot. However, I feel as if it has exactly what most couples are looking for when they want to enjoy a week or two of romance and excitement with each other. First and foremost, it’s a gorgeous place to visit. When you’re right in the middle of the Pacific Ocean you know you’re going to get the best exotic scenery and culture - not to mention Hawaii is a destination most find to be an affordable luxury. Secondly, a lot of American couples I have spoken with who have gone to a more foreign land find they are stressed figuring out the language barrier, money conversions, getting vaccines and visas, and flying away from the American conveniences they never knew they would miss. These things are important to plan for because without even realizing it you could be planning a super stressful trip! It’s best to remember to keep it simple! In the end I strongly believe most will find comfort and relaxation in their Hawaii honeymoon in Lahaina and memorably take part in the luxury and ease that comes along with it. When considering your top picks for the kick off trip to start your life of companionship, I advise you to consider the spot that may be right under your nose!